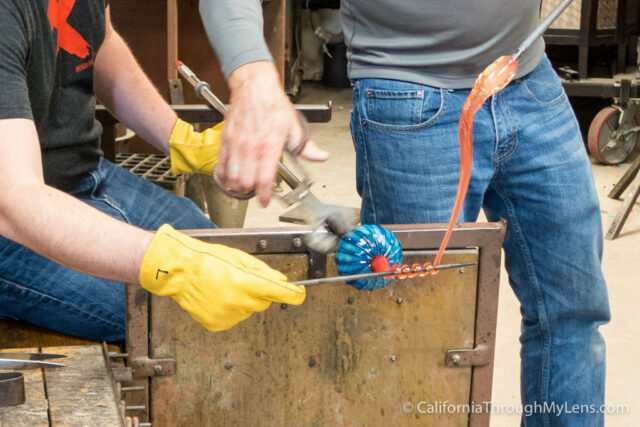 I have always found glass blowing to be a fascinating type of art. 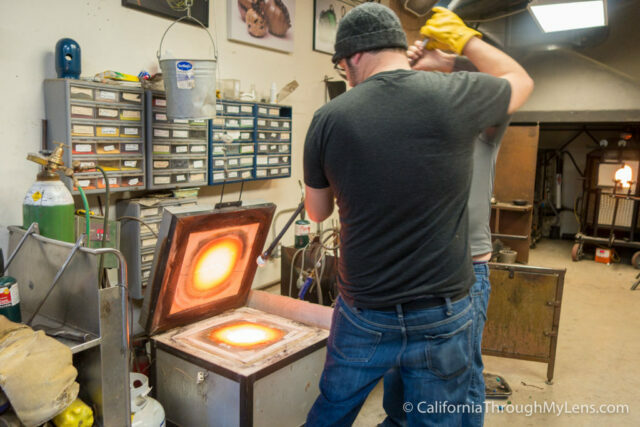 Basically, you are manipulating glass with fire to melt it into a shape you want it to be in, and doing something like that is just impressive. 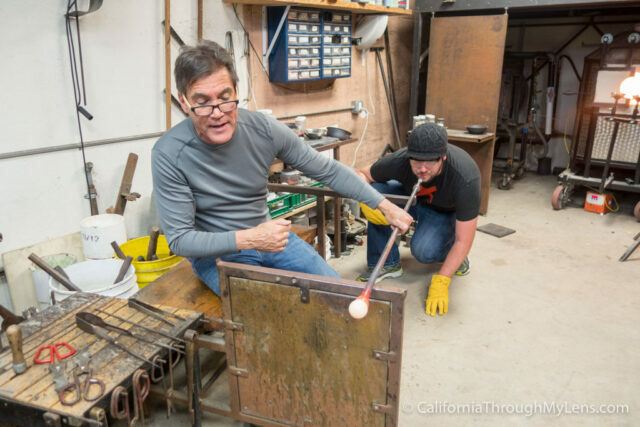 I didn’t ever think I would do glass blowing myself, but on a recent trip to Half Moon Bay, I got connected with Half Moon Bay Art Glass to take one of the classes offered by the owner Doug. 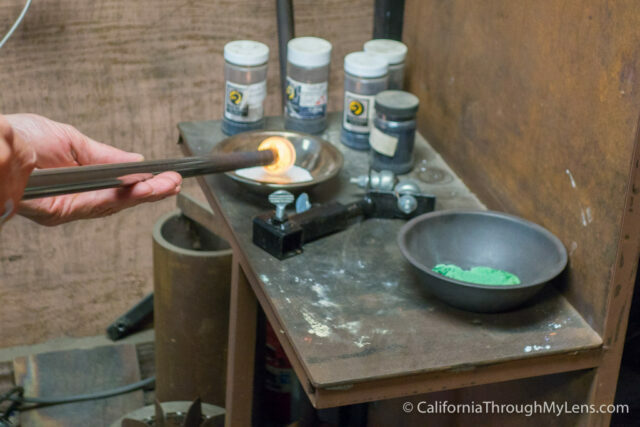 It was a ton of fun, and I really enjoyed myself, here is all of the information so you can do it as well, plus a coupon code for a discount. Book here and use coupon code “CaThroughML40” (case sensitive) for a 40% discount when you book online (good until Dec 2016). Upon arriving for the start of my class, I was with a half dozen other people. Doug gave us a breakdown of the process and safety instructions, before jumping right into the creation of a pumpkin, which we would be making. I enjoyed being able to watch him go through the process first as it made doing it a little less intense when I did it myself. After about 15 minutes of watching Doug, the process was complete, and the pumpkin was sitting in the oven to bake overnight and harden up. 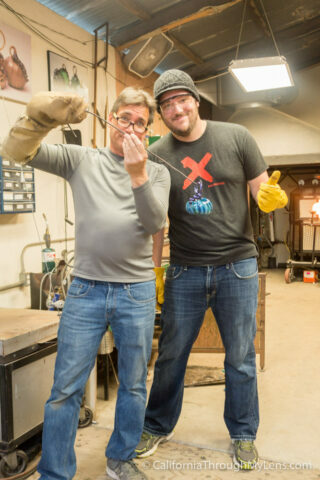 I was next to do the process, and I got my gloves and glasses on before getting ready to make my creation. 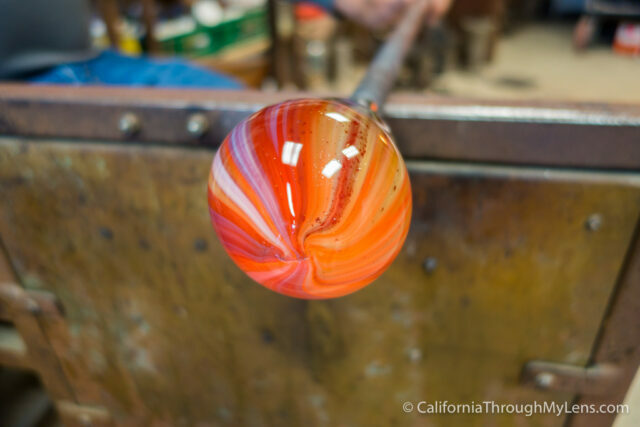 The next 15 minutes was a fast process of pulling the glass in and out of the fire, rolling it and blowing on it. It was a rush to do as it all happens really fast and you have to be listening for the orders so you can do the next thing. When I was done, I was shocked by how beautiful my pumpkin came out. It had a rich blue color and looked like something I would buy in a shop. I can easily say that I would not be able to replicate this again without Doug’s instruction, but I did feel like I was enough a part of the process that I could say I made it. 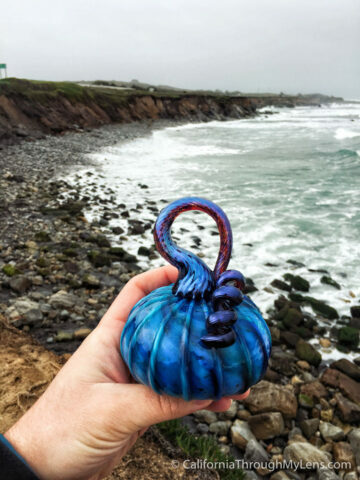 The next morning I picked up my pumpkin on the way out of town and took the opportunity to take some photos of it with the coast line in the background. It is a fun souvenir to have and to remember my time on Pacific Coast Highway with. 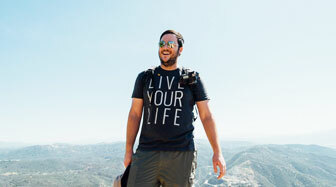 I recommend you check it out and take a class if you have some time in the area. 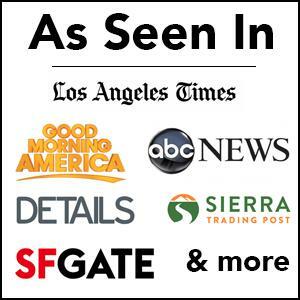 Be sure to use the coupon code above so that you can get a 40% discount on the class, and stop by the winery, that Doug rents his space from after the class is over to sample wines. 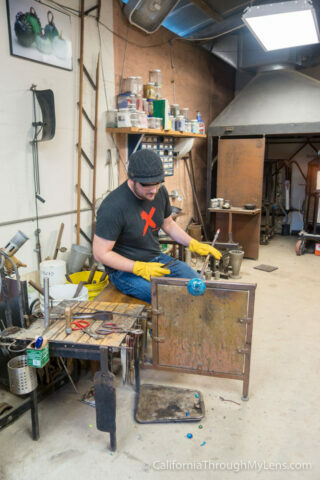 Let me know your glass blowing stories in the comments as well.